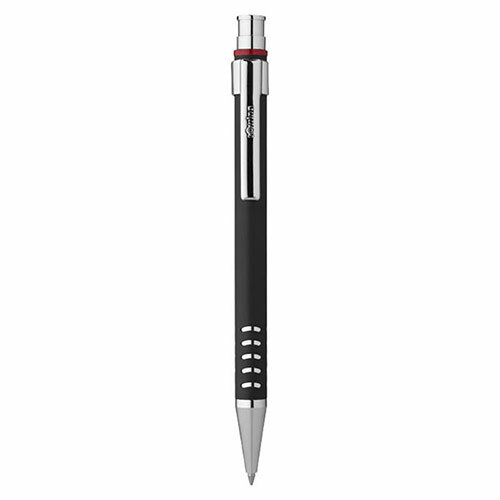 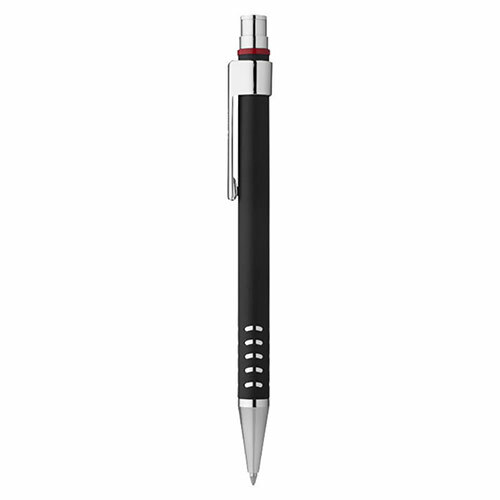 These all-purpose 'Dubai' ballpoint pens from Rotring offer a very good price to performance ratio. 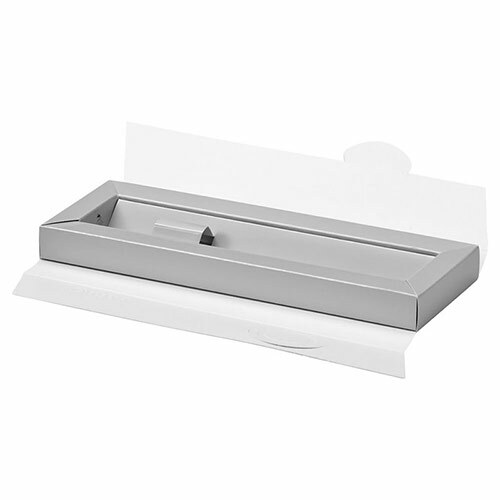 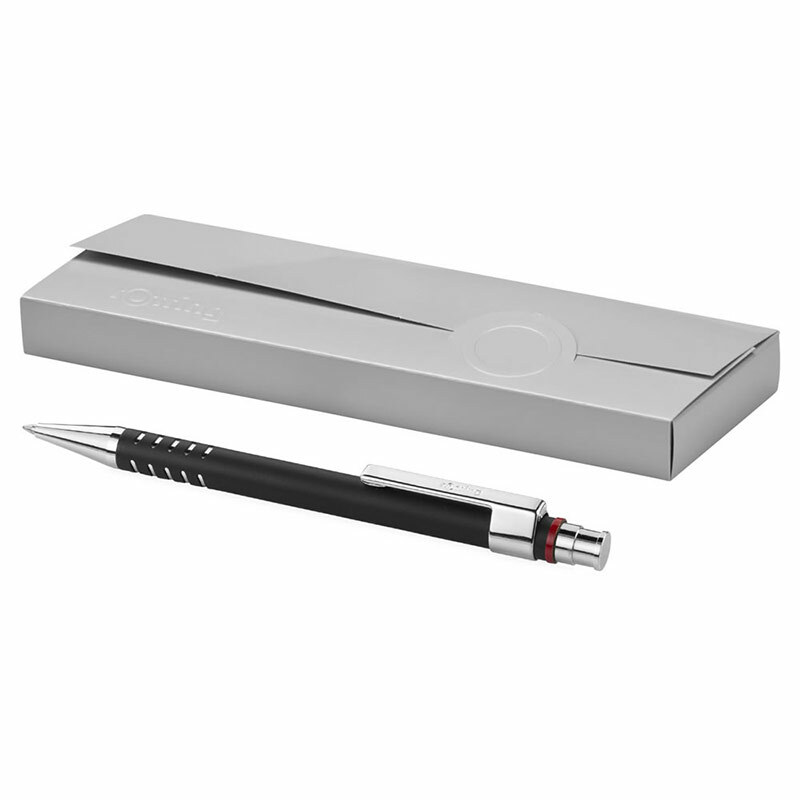 Combining high quality materials with an exclusive design, they feature a matt black body with silver trim. These blue ink ballpoint pens are supplied with a lightweight Rotring box and offered with engraving options. 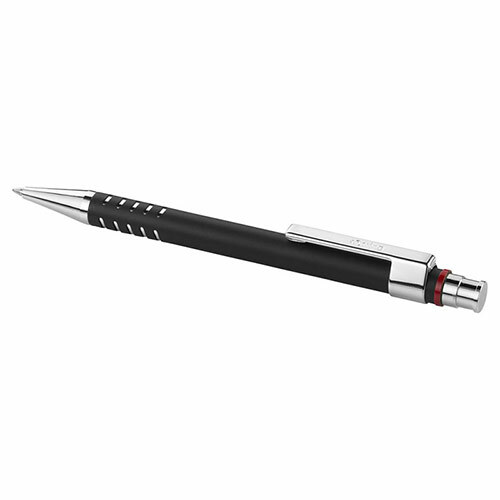 Product size: 13.77cm long, 0.9cm diameter, 22g weight.